Development in the society can be triggered by empowering women. Empowering and strengthening the women in the villages has been one of our milestones under the CSR programme. At Sesa Goa Iron Ore, this is done by initiating Self Help Groups. 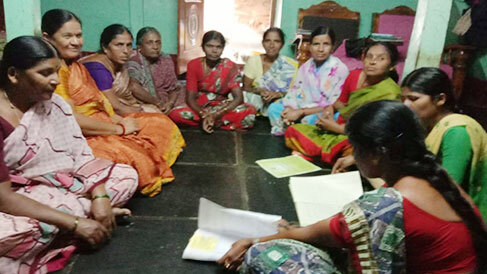 In Goa this association is identified as Sesa Mahila Hitvardhini and in Karnataka as Women SHG Federation. This program targets adolescent girls and addresses all their concerns with regard to health, hygiene, academic, personality & social aspects. Various programs viz expert talks on guidance, life skills, festival celebration, Rangoli Training Rangoli & Mehndi Competitions are organised to keep them motivated and involved. Around 655 adolescent girls from 45 Kishori Groups have benefitted by these programs. Sesa Goa Iron Ore believes that Health is an important focus area of Corporate Social Responsibility.